We had been planning our summer boating vacation for better than a year. Stops were to include: the Boston Harbor Islands, World’s End in Hingham/Hull, Provincetown, Wood’s Hole, Martha’s Vineyard and Nantucket. As was our habit, we had chosen the two weeks around July 4th as our traveling time and had made reservations for slips and moorings accordingly. This was no small task since five boats were planning on making the trek. The seas were calm and the sky was clear as we left our docks on the initial leg of our journey; first stop; George’s Island. 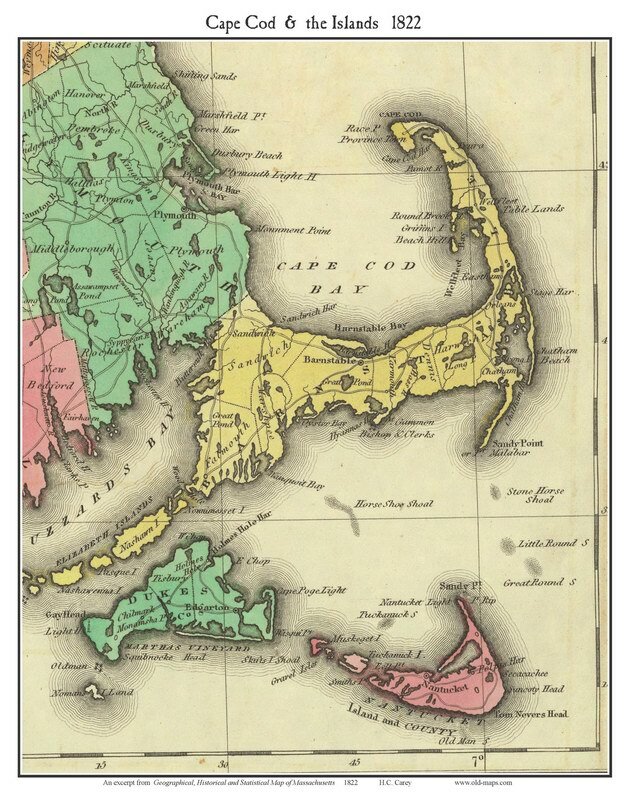 This is one of the thirty-four islands and peninsulas making up the fifty square miles of bays, harbors and rivers in the Boston Harbor Island’s network. 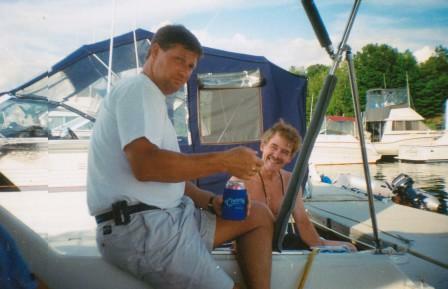 We hooked mooring balls on the northeast side of the island and began to unwind after our voyage from Newburyport. After a windy night, with considerable blowing around on our mooring, we woke to another gorgeous day. We left our big boats and headed out, dinghy-style, to investigate Lovell’s Island. We hiked the trails, did some swimming at the small beach and inspected the remains of Fort Standish. We would have been tempted to stay an additional night in these outer islands if the wind had subsided, however, the large majority of our group voted to forego another evening of blowing around in the choppy waters and head to our next destination, World’s End in Hingham/Hull. We would again be on moorings, but this anchorage area was well protected; in fact as we travelled into Boston’s south channel, the breeze ceased entirely, and the heat of the day became more noticeable. We were looking forward to jumping into the cool water of the harbor. Since this was our first visit to the mooring field, we were careful to follow the marked channel and to keep a sharp eye on our paper charts as well as our chart plotter; the area does get shallow! We were able to hook our mooring without incident and enjoy this pleasant, peaceful area known as World’s End. After an extended swim, we again left the big boats behind and began to explore the area by dinghy. A ten-minute ride brought us to Nantasket Beach and back to the hustle and bustle of city living. The beach is long, sandy and can be crowded on a hot day, but the restaurants, sights and activities made the trip worthwhile. The Paragon Carousel alone was worth the trip. 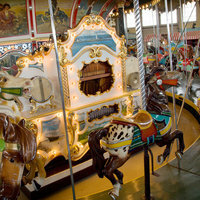 Now an antique, it was built in 1928, one of only 100 carousels remaining in the United States. It has 66 beautifully maintained, carved wooden horses and attracts over 100,000 visitors a summer. 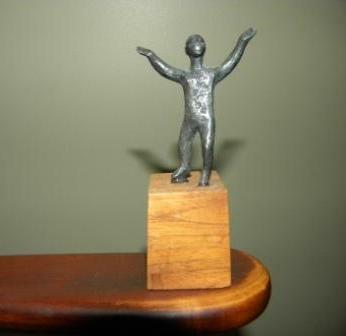 As William Tammeus, the Pulitzer Prize winning journalist said, “You really don’t understand human nature unless you know why a child on a merry-go-round will wave at his parents every time around…and why his parents will always wave back”. This year, 2013, will mark the 85th year of operation for this relic from Hull’s “golden age”. After returning to the “big boats”, we set about firing up the gas grills and creating the on-board feasts we have become famous for (at least in our own minds). The late afternoon, early evening smorgasbord, accompanied by lavish cocktails and good friends inevitably led to…music and dancing, as well as a fairly early retirement of most of the travelers (revelers). Our intent was to get up early and spend the day on the beach followed by one of our planned dining-out experiences at the Sea Dog Brew Pub or maybe Barefoot Bob’s Beach Grill (we had also been to the Red Parrot on a previous visit which we made by car). The next day was perfect; we were fortunate that the weather had been decent so far and we were hoping for it to continue. We did exactly what we planned on doing; lazed on the beach and stuffed ourselves at dinner (we decided on The Sea Dog Brew Pub). Nantasket and World’s End were a fun-filled and enjoyable destination which we all plan to visit again. That night, we also made it early-to-bed, in anticipation of our departure in the morning for P-Town (Provincetown). Three of our boats were to be in slips at the docks for power, fuel, water, washing and relaxation, while two of us were remaining on moorings… for cost-savings. We woke to cloudy skies and a blustery breeze; the temperature had dropped considerably and we were hoping the weather wouldn’t get worse. After checking NOAA weather and hearing it should stay “ok”, we pulled in our lines and headed out. As we rounded Hull Gut and came out into Massachusetts Bay heading southeast toward P-Town, we hit head winds and 4-5 foot seas; not the most pleasant conditions to travel in. One of our boats radioed that they were turning north for home; they’d had enough and were begging out of the remainder of this adventure…we were now down to four boats, but determined to make Provincetown before dark. Even at eight knots, we should be alright. We made it just before dark, weary and worn out. Two of our boats got into their slips easily since the docks are well protected, but the two boats with moorings weren’t so lucky; due to the wind, grabbing and hauling the mooring lines proved to be a challenge for our mates. Eventually, all was secured; we chose not to visit our friends that night, but to stay aboard…tomorrow would be another day. The next day, the sky was clear although the wind continued to blow at a healthy 15-20 knots; the boats on moorings were being knocked about pretty well. We decided to leave the dinghies secured to the boats and take advantage of the Provincetown launch service. P-Town is a real treat; a mix of people and places, with many of both quite different from the “norm”. The eight of us stuck together most of the time, shopping, going for an early cocktail hour, going for an early dinner and then dancing…it’s all there in P-Town; we had a blast. Unfortunately, we had to get back to the boats via the last shuttle, so at 10:00 pm, we called it a night. The launch operator turned out to be the harbormaster, and we struck up quite a conversation on the way back. When he saw the boat we were headed to, he became less friendly; we sensed something was amiss. Apparently, during the day and during our absence, he and his mate were patrolling the harbor and noticed that the line we had used to moor our boat had frayed due to the wind blowing the boat around (we typically use our own lines and feed them through the mooring line instead of attaching the mooring line itself to our boat; we learned this method in the BVI and had had no issues, TO DATE, using that system).The wind action had caused our line to move back and forth against the loop in the mooring line, causing our dock line to fray. The harbormaster and his mate had to board our vessel and re-attach the mooring line to our boat. When we arrived at our boat, he indicated that: A.) we should look at our dock line (or what was left of it to see how close we had come to disaster) and B.) we should alter our method of hooking up to a mooring. Since this incident, we now tie two dock lines to the mooring line rather than one; and we do it in such a manner that there is no chaffing of the lines. If the last thread of our dock line would have broken before being discovered by the harbormaster, our boat would have bounced like a ping-pong ball as it was blown out of P-Town Harbor, knocking itself against every boat moored behind it! It was a hard lesson learned, but it could have been much harder. We very fairly tipped the harbormaster and his mate the next morning for their assistance in avoiding a very costly calamity. While in Provincetown, we learned of the now-famous “Carnival Week” held each August; we are planning to return. It is heralded as “Mardi Gras style fun” with much partying, many wild costumes and climaxing with a colorful parade. The 2013 carnival week is from August 18-24 and the theme is “Viva Las Vegas”…definitely worth the trip! 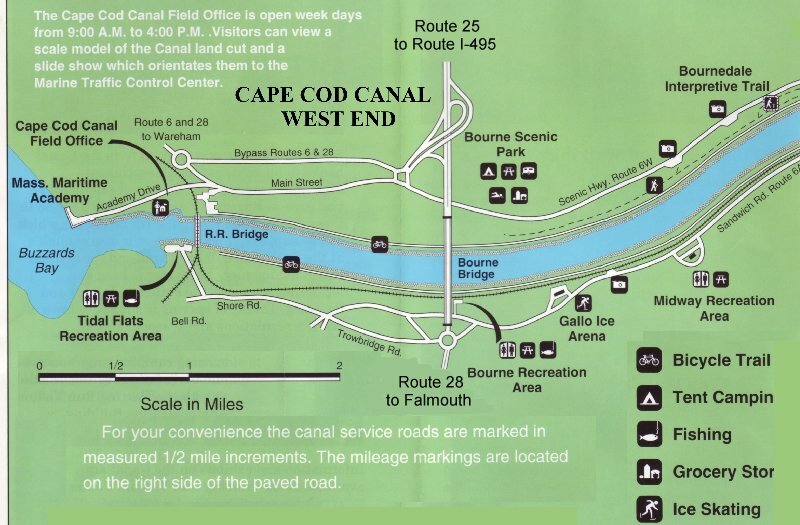 We left Provincetown the following morning and headed for “the canal” (Cape Cod Canal), bound for Woods Hole. The wind was still blowing, but less than before; we made Sandwich in good time and tried to fuel up there. Sandwich Marina did not have enough fuel for all four boats; two of us needed to proceed through the canal to Onset for fueling. After waiting around for the other boats to take on fuel, we proceeded west at no-wake speed (we maintained that speed for the entire length of the canal) until the Coast Guard surprised us on their hailer indicating that we needed to “stem the tide” since all traffic needed to stop due to some activity at the Massachusetts Maritime Academy. On the second directive over the hailer from the Coasties to “stem the tide”, we decided we should determine what was meant by “stemming the tide”. As it turned out, since the tide was running from east to west through the canal, and since we were traveling from east to west, we needed to turn our boats around and face into the current in order to stem the tide; we needed to do this in order to hold our position and stop drifting with the tide toward where the coast guard was…whew! Approaching Wood’s Hole is a true adventure; as I’ve said before, nothing is so much fun as doing something for the first time! As we entered, the wind was blowing this way, the water was splashing, literally splashing that way against the shores, the boat listed one way before suddenly listing the other way; the turns were sharp and the current was REALLY running. The one saving grace was that we didn’t have much time to consider the possible negative consequences of failing to traverse this small body of water; the other saving grace was that we made it in one piece. According to Boston Sailing Center’s Cruising Guide, “navigating Wood’s Hole is tricky–potentially dangerous—for a combination of reasons”; we learned them all! That night, we spent on moorings in Great Harbor; much to our relief, it was a quiet evening spent talking with friends and enjoying just being there. Two more stops, each for two nights and then our vacation would wind down; Martha’s Vineyard, then Nantucket, then home. Exiting Great Harbor and entering Vineyard Sound was only slightly less debilitating than the previous day’s entry into Wood’s Hole; the currents in and around the islands, as well as the area winds, presented quite a navigational challenge. We made it; through five-foot seas and twenty-five knot winds, but we made it. We spent two delightful nights, in slips in the protected harbor of Oak Bluff’s Marina. We shopped until we dropped, partied on the boats and in the pubs, sunbathed and used all the amenities afforded us at the docks. The most noteworthy activity, however, was “The Jeep Rental”. When we returned the jeep, it was with only minor damages and some scratches from the underbrush; we had removed most of the shrubbery from the inside, and we had detached all of the tree debris from the bumpers and wheel-wells. We had cleaned off most of the mud. 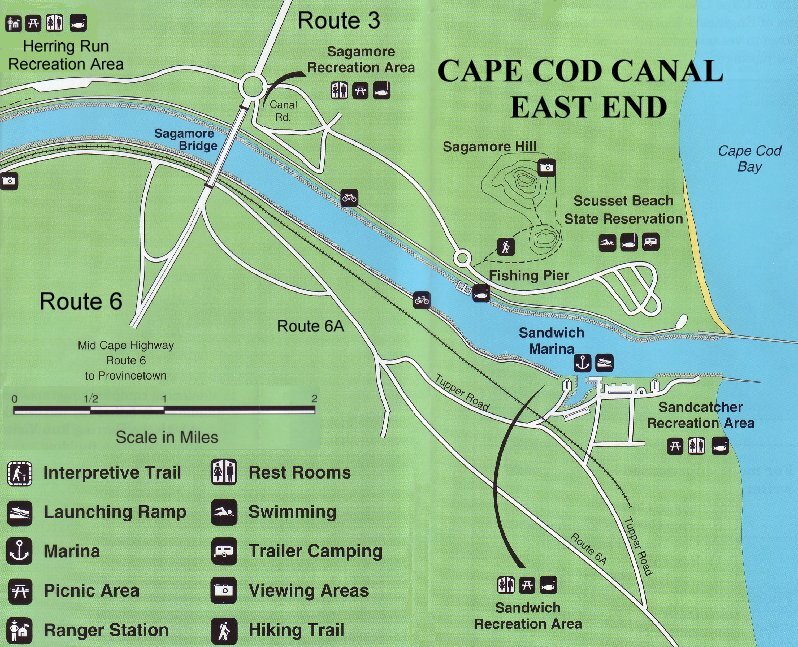 We had no idea there were so many old, abandoned, over-grown tow paths on Martha’s Vineyard. We are fairly certain that luck was with us that day; we did not get arrested, either by local constables or by federal officials, of which, we are confident there are many on the island based on the frequency of presidential visits and such. We left the Vineyard pretty much as we had found it, but rather hastily, the next morning bound for Nantucket. This two-day visit was our last but was to be our most entertaining. We were now down to only two boats since Matty, Leann, Skip and Kathy had decided to culminate their trip with the “Island Adventure” on Martha’s Vineyard. Paul, Deb, Louise and I had planned on meeting our kids on Nantucket; they were to arrive by ferry prior to our arrival by boat, and were going to stay with us on our boats for the two days. We had made reservations at the Nantucket Boat Basin, and were looking forward to a relaxing visit with the kids. Upon our hasty departure from MV, we realized the seas were not going to cooperate, and the weather was also going to be less than obliging. In addition, Paul’s first mate had consumed more than an appropriate amount of non-water liquids the previous evening. The short trip from the Vineyard to Nantucket was one of the longest trips we’ve taken; the rocking and rolling and blowing and water-over-the-bow and crashing (we lost the canvas struts & they lost parts of a hatch cover) and the fog and mist just about did us in, UNTIL we heard Paul on his VHF…calling the Coast Guard. Approximately two miles from the entrance to the Nantucket Boat Basin, in his radio call to the Coasties, Paul had indicated that Deb was curled into a ball on the cockpit floor, not moving, and talking gibberish. Paul was certain she was having a heart attack or at least something as serious. He had requested Coast Guard assistance in entering the harbor and getting medical assistance to the head dock. They came to his rescue immediately; “follow us” they said. So, with the Coast Guard leading the way, with lights and sirens blaring, all three of our boats screamed into Nantucket Boat Basin ignoring the “no wake” signs and pulled up to the main gas dock where the ambulance was waiting to take Deb to the hospital. 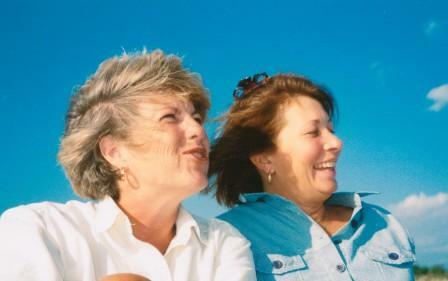 Once she was loaded up, Louise went with her in the ambulance to the emergency room. Paul and I needed to relocate our vessels to our assigned slips, and we needed to find out about the children who were meeting us there! We found the kids; they had been waiting for us for several hours; since they had brought a car over by ferry, they were able to pick up Louise (not Deb) at the hospital. Eventually our children settled into our boats with their belongings. We had a pleasant dinner with our families, even though Deb was not with us to enjoy it. Louise said that they were going to keep her overnight “for observation”. What we learned was that she had been suffering from dehydration; we were certainly relieved that it was not more serious, although it had been a frightening experience. What we also learned, from Deb the next day, was that the doctor had not asked to keep her overnight; she was free to leave. She had asked the doctor to let her stay overnight (we guess she needed to slow down some from the vacation). The trip home was long and lasted two additional days; the seas did not cooperate. We spent seven hours getting to Scituate where we stayed overnight. The next morning we tried to leave, but again the seas prevented us; we stayed one more night in Scituate. The next day we made it back to Newburyport and to our home. And this is what we called: “a vacation”? good job-not quite as I remember but close enough!! Another great read, Captn Bob!! Always thoroughly enjoy your stories…You do manage to paint quite a picture with words!! keep em coming! !